Starting your own business in today's challenging times can be risky and cost prohibitive, with no guarantee that you're going to succeed. But what if the risk was non-existent and the cost was nominal, while the gains were high? Clear Imaging has built a dependable reputation for developing extraordinary web sites, with numerous satisfied customers. 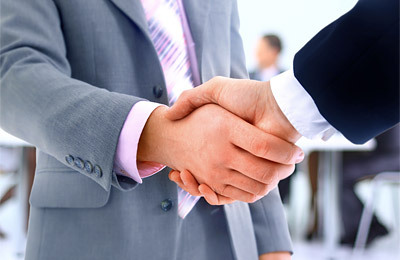 We thrive on word-of-mouth business, which opens the door to mutually beneficial partnerships. Our Web Site "Reseller" Affiliate Program is open to select individuals, small businesses and other web companies who want to engage in a win−win relationship and share in handsome revenues with little effort required. Clear Imaging is proud to announce a new Web Site "Reseller" Affiliate Program for individuals, small business and other web companies. The program is designed to create a win-win relationship between Clear Imaging and Reseller Affiliates as a way to share revenues with very little effort on your part. Sure, we've all seen the ads that say something like this or something more unbelievable. But it's really possible. As a Clear Imaging Affiliate Reseller, you find the clients, we handle the web site design, web site development, plus ongoing maintenance and you benefit from the sale. You keep more money from Clear Imaging's reseller program than any other program out there. Let's explore how this works. Last year 4.3 million new top-level domains were registered (that's the .com name). That means over 4 Million new web sites needed to be created and hosted. Next year the number should grow beyond 4.5 million new domains registered and waiting for web site design services. That doesn't take into account the number of web sites that need to be redesigned. You should be profiting from this market. If you do business with or know anyone in business, you are already connected to this huge growing market. The need is so high that anyone who can offer a service, manage costs, and deliver on promises can be highly profitable. We provide the service for you to offer, we absorb the cost for you, and we deliver the solutions; you profit. Clear Imaging has made a decision to put as many people into the lucrative business of delivering high quality custom web sites to small businesses as possible. We benefit by generating more clients. The best part is there is no design effort on your part. All you do is find new clients and we do all the work. Some companies charge $2,500 and as much as $25,000 for a fully custom designed web site. Our pricing model is more geared to a monthly fee based on various packages, of which we share revenue with you. So, you determine your own income level based on how many sites you sell. Imagine an extra $2,500 per month. Is that revenue that you or your company would benefit from? You get the idea; this opportunity could make you a lot of money. Review our Reseller Program and see if it suits your style of business for generating more revenue with Clear Imaging. We develop a reseller website branded for you that will expand your reach and create a passive revenue channel to add to the profits you create from active selling. Really harnessing the power of the Internet and not just selling its power to your client's lies in having your own reseller web site. Every reseller gets their own custom web site branded with your company logo and information. All you pay is a nominal monthly fee. Your custom web site allows you to market yourself and drive potential customers to your web site where they can learn all about the web services and various packages we offer and then sign up online in minutes. We also develop a Reseller Support web site interface where you can manually sign up new customers and keep track of all your resold accounts. You get full access to our diverse and highly talented team of designers, programmers, marketing consultants and technical support team. So you'll never be left in the lurch, we support you all the way from start to finish. After we have built and launched the customer's web site, they will no doubt have some more updates needed, which will be an ongoing process. Not to worry... we give your customers access to our Customer Support web site, where they can submit all future updates on their own. All of your customer web site updates will be handled by our programming team directly and generally get handled within 24-48 hours (for small updates) and 3-5 days for major updates. The beauty is, all updates are free and included in the customer's monthly fee. We also provide 24/7 phone support for you and your customers that need help.